Manufacturer of a wide range of products which include asi - spectra make optical surveying focus total station, asi - optical surveying focus total station and asi - nikon surveying focus total station. We are an acclaimed name engaged in offering our precious clients a superior quality range of Optical Surveying Focus Total Station. 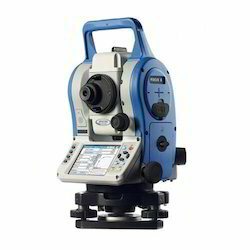 The Spectra Precision FOCUS 2 Series of total stations are new, highly affordable, mechanical total stations delivering versatility, ease-of-use and feature-packed onboard software to provide unmatched performance and productivity. Our offered station is manufactured by our professionals using high grade components and advanced technology in compliance with the international quality standards. In addition to this, our provided station undergoes various tests under the supervision of quality controllers to ensure its flawlessness. Clients can avail this station from us at market leading rates. 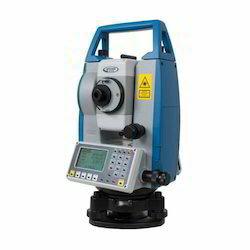 We are an acclaimed name engaged in offering our precious clients a superior quality range of Optical Surveying Focus Total Station. Our offered station is manufactured by our professionals using high grade components and advanced technology in compliance with the international quality standards. In addition to this, our provided station undergoes various tests under the supervision of quality controllers to ensure its flawlessness. Clients can avail this station from us at market leading rates. 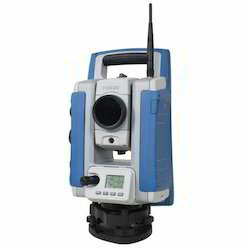 Looking for Spectra - Trimble Surveying Instruments ?